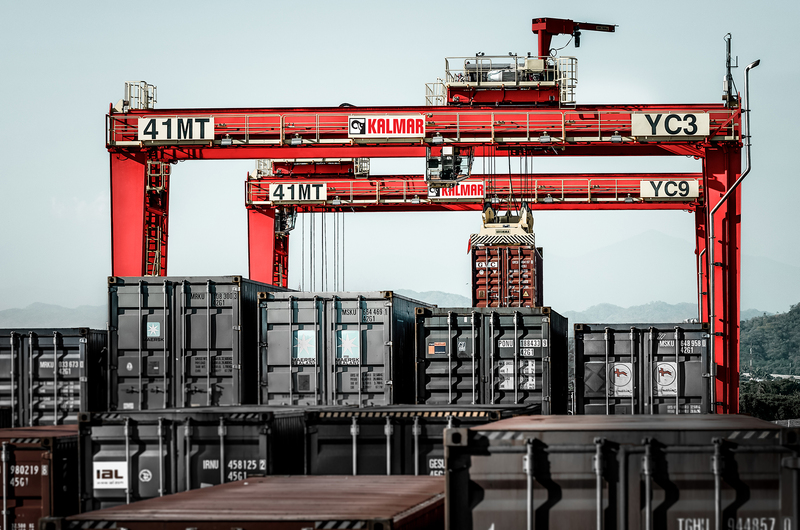 Kalmar, part of Cargotec, has concluded a deal with Riau Andalan Pulp & Paper (RAPP) to supply three Kalmar SmartPower rubber-tyred gantry cranes (RTGs) for its container yard at the Port of Buatan in Indonesia. The order was booked in Cargotec's 2018 first quarter order intake and delivery is scheduled to take place towards the end of Q4 2018. RAPP, a subsidiary of APRIL Group - one of the world's leading producers of pulp and fine papers - operates a pulp and paper mill in Riau Province on the Indonesian island of Sumatra. The mill has an annual production capacity of 2.8 million tonnes of pulp and 850,000 tonnes of paper. APRIL Group has invested significantly in infrastructure to take its products to market, including a container terminal in the Port of Buatan. The Kalmar SmartPower RTGs will replace the RTGs currently operating at the RAPP terminal, which are reaching the end of their lifespan. RAPP also operates Kalmar empty container handlers at the terminal. Thanks to its significantly smaller diesel engine and intelligent power management system, the Kalmar SmartPower RTG uses up to 10 litres less fuel per hour than most of the diesel RTGs currently on the market. Its simple yet efficient design provides the perfect balance between productivity and cost efficiency in typical container-handling applications, with a low-maintenance all-electric trolley and hoisting system as well as a direct gantry drive in place of traditional hydraulic systems. Jamie Vincent Farrell, PECTEC: (a technical subsidiary of APRIL Group): "The Kalmar SmartPower RTG is an ideal solution when it comes to renewing the existing RTG fleet because it fits perfectly with the mill's lean operating principles. Not only will the new cranes help to significantly reduce fuel costs and therefore emissions, but they will also improve productivity and increase safety as well as simplify maintenance processes. Furthermore, we have been very satisfied with the support we have received from Kalmar's local and regional teams." Ismo Matinlauri, Vice President, Solution Sales, Kalmar APAC: "We managed to satisfy the customer's high performance and product requirements while at the same time meeting the tight delivery schedule and erecting the cranes on site. We have previously supplied RAPP with mobile equipment, so we are pleased to be able to fulfil their requirements in terms of RTGs as well."